This week, I met two new business contemporaries and we began sharing small talk about our respective recent weight loss stories and methods on how we got here. When I declared my pot belly and overall weight dramatically came down by avoiding the consumption of foods containing processed sugar their faces looked both amazed and doubtful. Amazed that I was so open, but doubtful that was the entire story. That is customary where most people are waiting for me to add an exercise regime, some herbal supplement secrets, or perhaps a complicated carbohydrate count menu, but the whole story is cutting out processed sugars. It probably works for me and so many others because that is usually how we get fat from eating and drinking so much sugar. Just think, seven years ago when I began learning about the processed sugar dangers, the American Heart Association was five-six years away from making their current medical recommendation to limit processed sugar to less than six teaspoons a day. This medical group is raising awareness to the dangers of consuming processed sugar as it contributes to heart disease. Advice like this is necessary to counterbalance advertisement for sugary drinks, as the media outlets get paid, while simultaneously manufacturers, distributors, and retailers increase product sales. The losers in all this revenue enjoyment are consumers who get bigger with the need to visit the doctor and the tailor more frequently. Children are targeted victims of sugary beverage campaigns with those charming juice boxes. These items for the most part are nothing more than water, processed sugar and artificial coloring. Take an 8-oz. box of Sunny Delight, which contains 27 grams of processed sugar or the equivalent of nearly 7 teaspoons of the white crystals. An 8-oz. box of Hawaiian Punch is over 7 teaspoons of processed sugar (29 grams). 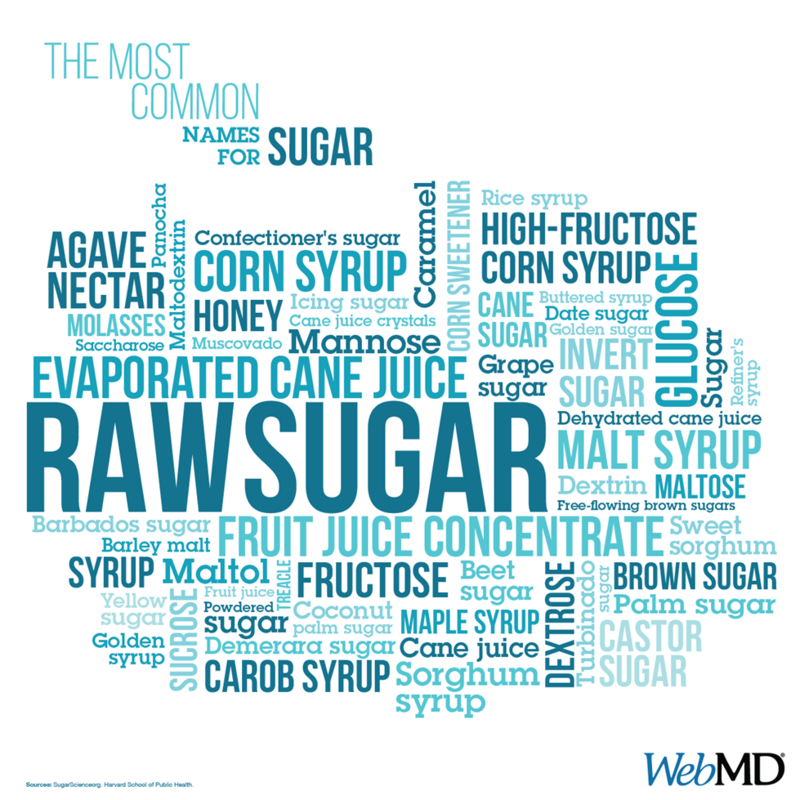 Consuming process sugar is a serious health problem and it gets worst when you factor in that 40% of the fruit juices substitute an artificial sweetener, often using aspartame that is a proven harmful carcinogenic. The consumption of processed sugar on a regular basis increases the chance by 60% that you will acquire Type 2 diabetes early in life. But yet, the packaging of such items carrying high levels of processed sugar still do not have a caution or warning notice on the package that there are highly potentially detrimental health ramifications from eating too much sugar. The newly invented interactive video toys make a wonderful addition to our world of sedentary and over consumption. Tennis, dance, bowling, and tons of other activities can now take place near the couch. Next to not eating the processed sugar, exercise will at least heighten the body movement to generate new cell growth, where sugar smothers the growth of active cells.